Marymount Students take Second Place in OCSTA Video Contest! 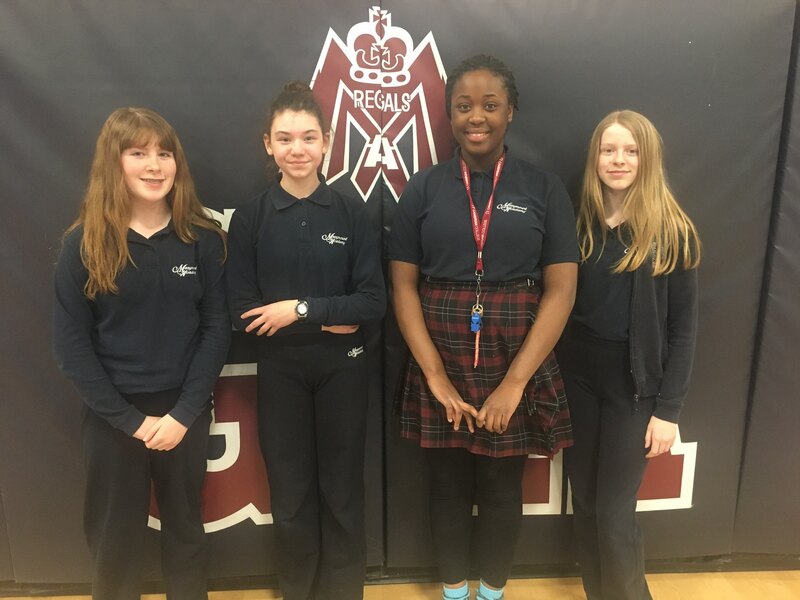 Congratulations to Mrs. Jutila’s Grade 8 Marymount Academy students Emma Vellow, Beth Richard, Odossa Oriakhi, Cassidy McLardie and Mackenzie Michalowicz (not pictured) for winning second place in the Ontario Catholic School Trustees Association video contest. The students created a video about how Marymount Academy students are “Community Builders.” The contest was province wide and these elementary students competed in the high school category! Way to go REGALS!